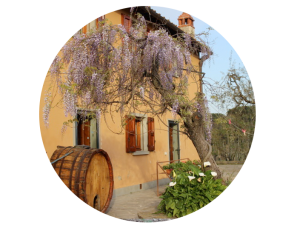 The “Azienda Agricola di Roncigliano” is a small family run vineyard and farm hidden in the beautiful hills of Roveta, south west of Florence, above Scandicci. 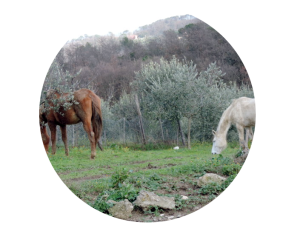 The Azienda di Roncigliano was initially born to enable our family to produce our own Wines, Olio d’ oliva, vegetables and Free range produce for our own consumption. However over time the farm has slowly grown into a successful small business selling its probuce directly to the public. Our wines are produced from a subtle mix of grapes, principally born from Sangiovese with small additional amounts of Canaiolo, Pugnitello and Malvasia Nera giving our wine a distinctive and original taste. The same can be said of our Olio d’oliva which is cured and produced in the same tradition it has always been. November, December each year our mix of Pendolino and Morellino olives are meticulously manually picked and then pressed on the very same day, leaving us a True Olio d’ oliva Extra vergine of real character and traditional taste. In addition to the Direct sale of our products It is also possible to organise for groups of maximum 10 persons, Lunches, Dinners, Childrens parties and family get toghethers all organised expressly to your requirements. The menu is, of course based on our own produce and game.